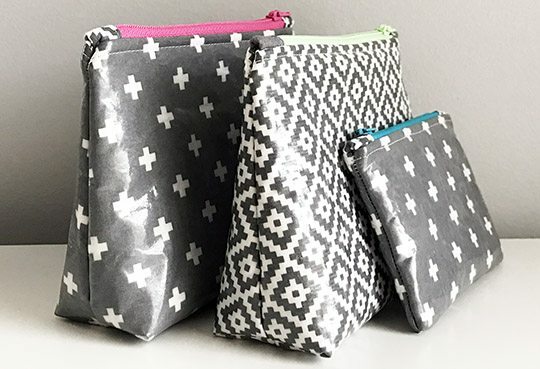 Oilcloth is great for making cosmetic pouches, but it can be hard to find options that don’t look like picnic tablecloths. 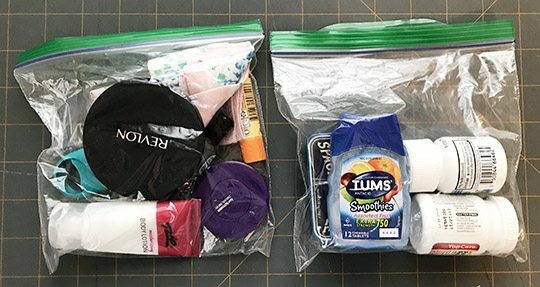 Clear vinyl is versatile, but I don’t always want anyone who peeks in my bag to see all the bits and bobs I carry around. Pellon has a great solution – iron-on vinyl that can be applied to just about any fabric to make it more durable. I love this stuff! 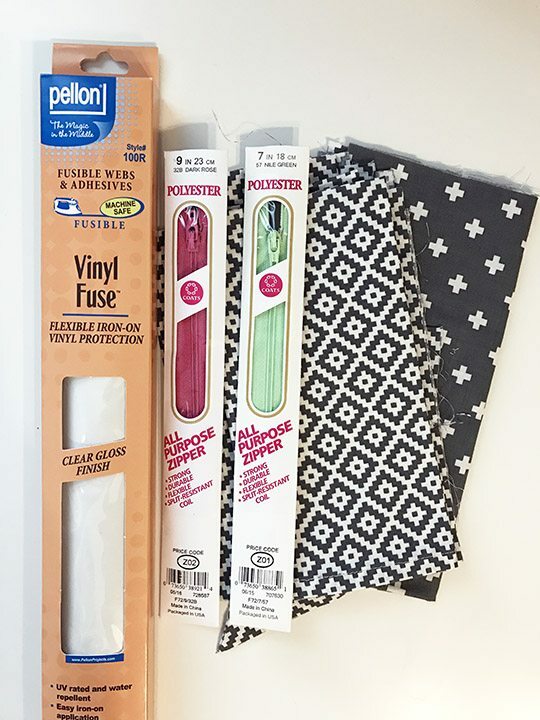 It can be a little challenging to work with, though, so today I’m sharing a few tips for sewing vinyl. Yep, those are the really classy bags I’ve been using to organize things in my purse. Sad, isn’t it? 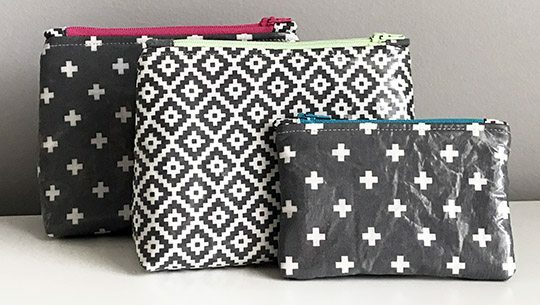 I ironed Pellon iron-on vinyl onto a few neutral fabrics, picked out some colorful zippers, revisited this zipper pouch tutorial that I shared a few months ago, and made myself three new pouches. 1. Regular pins will leave permanent holes in vinyl or vinyl-coated fabric. 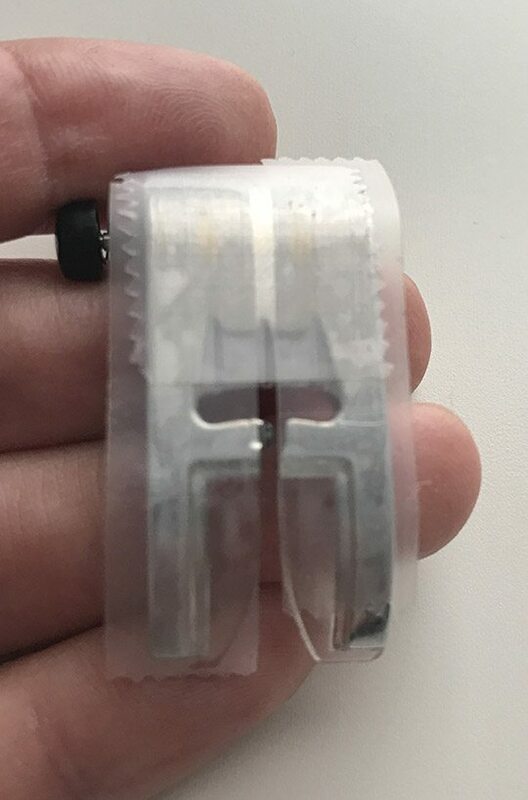 Clover Wonder Clips are my favorite alternative for holding project pieces together, but regular binder clips or even paper clips will work in a pinch. 2. 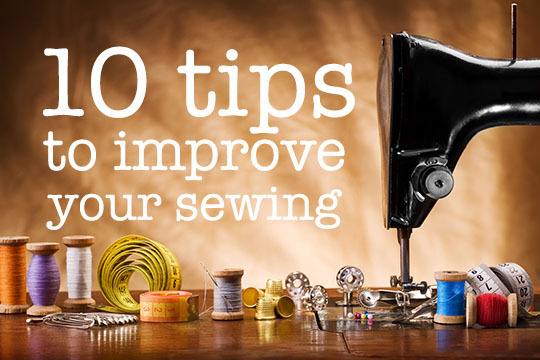 A regular presser foot will stick to vinyl and keep the fabric from feeding through your machine as you sew. You can buy Teflon feet for most sewing machine models, but I found a piece of frosted Scotch tape stuck on the bottom of my presser foot was a great temporary solution. 3. Vinyl (or the vinyl side of coated fabric) will stick to itself. 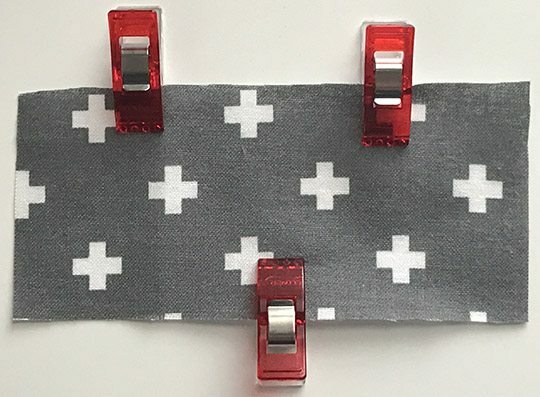 If you sew pieces together with the slick sides facing, it will be harder to turn your project right side out than it would if you were using regular fabric. To make it easier and avoid crinkling up the fabric, leave a larger than normal opening for turning or look for patterns that use binding on the outside seams and avoid turning all together. 4.If you use iron-on vinyl on plain, darker fabrics you may see light marks where the vinyl crinkles as you work with it. I like the effect – it’s fairly subtle and it made the fabric look like waxed canvas – but if you don’t want to see the crinkles you may want to choose lighter fabrics with a pattern that will camouflage any marks. Your turn! Any clever tips or tricks for working with vinyl? Share them in the comments!